Body mounting pad. 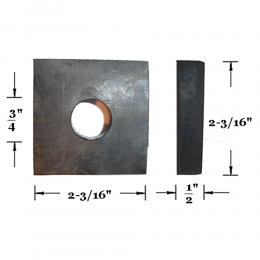 Square type approximately 2-3/16" outside diameter, 3/4" inside diameter hole, 1/2" thick. Replaces original GM part #1461991. Number used varies per body style. Sold individually. MADE IN THE USA.